First a few bits of business . . . The I will be making the drawing for the winner of the HomeRight SteamMachine giveaway on Friday, April 10. So if you haven't had a chance to enter click here. I have a guest post over at Country Chic Paint Blog today. You can see what I did with a couple of roadkill side tables here. I would love it if you visited and showed some love with a comment. Please. You may have noticed - but I doubt it - that I've missed the last two Wednesdays. It seems that I often forget that is actually Wednesday. In case you haven't noticed, this blogger doesn't have an editorial calendar. I rather fly by the seat of my pants and don't generally have a rhyme or reason to when I blog. My life is generally of little consequence and thus the days tend to flow together. This week I had something I really wanted to write about so I kept reminding myself, counting down the days so I wouldn't forget. But then I heard something on the news last night. And I saw this post from a friend on facebook this morning. I know the person who she was referring to. I know what a wonderful person she is. I know that she spends her life helping others live a better, healthier life. And I knew I couldn't write about what I originally intended. That I had to write about poverty. Or at least my thoughts on poverty. I try to stay away from subjects that are politically charged - for many reasons. The least of which being that people won't want to read my blog anymore. Mostly because I find it difficult to talk about multi-faceted subjects in 500 words or less. But I want to say some things to the world. Not that you are the one that needs to hear it. I just want to say it. Because the subject just breaks my heart. In the name of all things holy. Find a space in your heart for those that live in poverty. Please give them the benefit of the doubt. My mind is so full of things to say and my heart is beating so fast that I'm afraid everything I write will be nonsensical. So I'm just going to tell you about me. I've never even been what might be considered "comfortable". I was raised in a family of 7 in the days of one family car and Christmas gifts that were based on needs. My father was college educated and had a professional job. He had to wear a suit to work everyday. If my memory serves me he had two suits. But it could have been one. I remember that when his suit slacks got so thin that you could see his underwear through them that my mother died them dark. We did not live like Don Draper. I don't remember knowing anyone who did. We always had food. We were loved. All of our basic needs were covered. We were insured. We vacationed at my grandparents. We never had everything we (I) wanted to have. I babysat to make money when babysitting paid nothing. I saved quarters to buy books when the book mobile came to school and make Scholastic Book orders. I started working at 16 and worked through high school and college. Mostly I used my money to buy shoes and clothes that were fancier than my parents cared to pay for. I paid for my college. My parents bought me a car so I could drive to college and provided me with whatever food and shelter I needed over that time. Some of that time I lived ay home and some of that time I lived elsewhere. After I married I worked. After I had children I stayed home with the kids. I also sporadically kept others children to make extra money. At a point in time when my kids were pre-school aged I went back to college and finished my undergraduate degree and then went to graduate school. During grad school I worked as a graduate teaching assistant and made somewhere around $6400 a year. During the first semester of grad school my husband and I separated. I moved with my 2 children into a very inexpensive apartment in my neighborhood. This was fortunate because the kids were able to remain in their school. I was able to work for the apartment complex on Saturdays showing apartments and receive a discount on my rent. For about a year I was basically able to make ends meet. This was really a fantasy, because when my car died I had to get help from my parents. When school tuition was due, I had to get help from my parents. It all blurs together, but I think that around the end of my 2nd semester of grad school I finally went to financial aid for loans. I can still feel the angst of sitting there with the financial aid counselor. I remember that desperate, yet angry gut feeling you feel when you have to ask someone for help. Trying not to act as if it was HIS fault I was poor. It brings tears to my eyes to this day. I SOOOO wanted to be the one who could raise two kids on $6000 a year and minimal child support without help. The kids and I were getting ready for school. My 5 year-old daughter was eating breakfast and I was sitting at the table. and said "mama, do we have to have cinnamon toast for breakfast again today?" I am sobbing as I write this. That day I went to that big ugly building, in that "bad" part of town, where "poor" people went to wait, and jump through hoops, to get food stamps. I remember a big room. Filled with too many people. People with babies. Old people. Young people. People of all kinds. A few men. Mostly women. Every one of them looked as miserable as I felt. Turns out I was also eligible for government assisted housing (Section 8), child-care, and a few other things that my mind has suppressed. I decided not to accept any assistance other than WIC and food stamps. I hated going to the grocery store with those stamps. There were no debit cards then. I had to count out the stamps to the closest dollar. I had to buy only certain brands/types of milk, peanut butter, cereal, etc. But I was so glad to be able to buy food - healthy food - for us. There was never a time when I felt fat and sassy or in any way proud of myself for being on food stamps. I was never on drugs or any of the other things that people say about "those people" - "the poor". I admit that once I used my food stamps to buy a birthday cake for my daughter. My kids ate free lunches at school, and then later, reduced priced lunches. They never knew it. Until, one day my son asked me why they never ran out of money on their account like other kids do. By that time they were older and wiser and able to join the discussion about how we live frugally because we NEED to live frugally. After 3 years I finished school and got a job. Ironically, even with a Masters Degree and a good job, my kids still qualified for reduced priced lunches. That fact turned into pretty good ammunition to have the pay structure for my job altered. That was a good thing. I got help in other ways occasionally. A community agency paid my utility bills a couple of times. A friend and her husband each gave me $100 (each without the other knowing) for Christmas money one year. A church fund helped me get caught up on car payments once - a call that came miraculously out of the blue and was clearly straight from God's hands. All that was 20+ years ago now. And I'm still not rich. It is doubtful that I ever will be. I won't live a luxurious life in retirement. I have a life filled with love. I've more money and things than most of the world. But I would hope that even if I hadn't had my low income moments that I would still have enough empathy for the poor that I would avoid making huge sweeping generalizations about them. That I would avoid thinking that I knew their motivation - that I knew anything about what it feels like to be hungry that I knew what it felt like to come home to a home where the electricity had been turned off - that I should sit on my high horse and make laws about whether I can buy steak or seafood with my food stamps. It's hard for me to believe that the majority of you guys out there don't know what it is like to be in need. What if these people were your children? Are your parents not taking advantage of Medicare? - which is, remember, a government assistance program. Do you KNOW how MANY people need help? We live in this world where most of us are WAY closer to becoming the poor than we are to becoming the rich. Does the Bible not say to feed the poor? Does that mean to selectively judge and then give out boxed, processed foods to the poor? 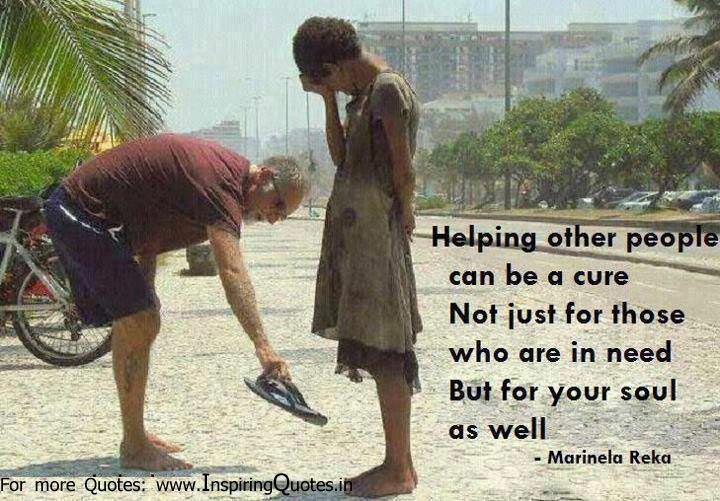 Please get to know someone in need. Please volunteer at a place that helps the poor. Not so you can feel pious. Not so you can put it on your resume. I know there are people milking the system. I know there are people who it is a mistake to help. Please err on the side of giving too much - of being too generous. Please remember that the poor live among you - not just in that bad part of town. Please know that we all want the same things. I challenge you with this thought . . .
Would it be possible that you replace all thought of judgement and negativity for the poor with empathy and compassion? What would it hurt? 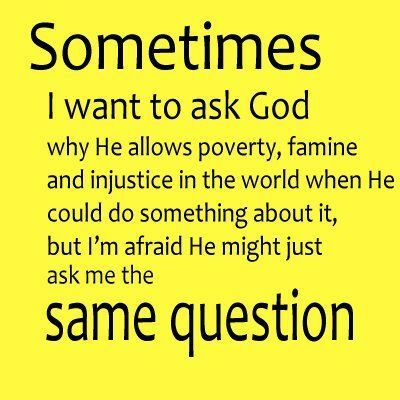 What if you just said a little prayer every time your mind crossed the issue? Pray that our hearts will soften enough that we can wisely deal with this issue on a national, state, and community level. Would it be possible for you to invest yourself in the issue? Because where your actions go your heart will follow. I know this to be true. 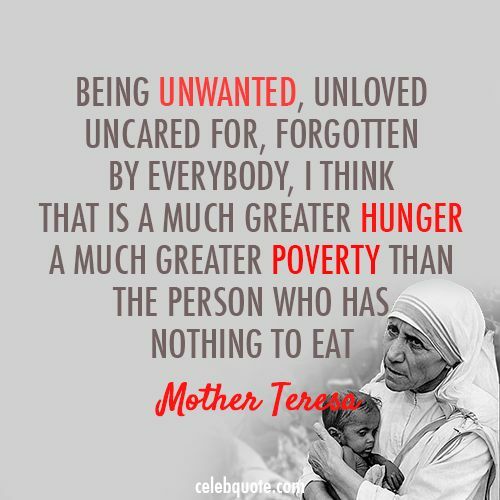 I think if more people realized they knew and loved "the poor" there would be more compassion. Actually, if more people had first hand experience with being "the poor" there would probably be little question of providing adequate support for those in need. I also have issues with punishing the poor for being poor. How long until we go back to work houses? Thoughtful post. I moved to a Title I school specifically so that I could help students understand that the poverty cycle can be broken, if they are really determined. Unfortunately, our young teachers have to use Medicaid/Medicare for their young families and some are eligible for other assistance, too. Other folks wouldn't know that, would they? There are some aspects of our lives that are similar. How did I live on $6666 a year (in the mid 70s), pay for child care and provide a home? I don't know. How could I tell someone who is in this position what they can and can't have at the grocery store? I knew that I had only so much to spend, and I stretched it. There will always be someone who plays the system, but let's not dwell on them. If I were providing for a family today, I wouldn't waste my food allowance on nutritiously-void food. Even poor people need treats, though. Where would we draw the line about what is allowed to be purchased and what isn't? I think we can rely on food stamp recipients to make their own decisions. Oh, and Republicans are notorious for voting against their own needs, hoping instead for different results time and time again. Also, Reagan's "welfare queen" story was debunked years ago. You make me proud to follow you. Pat. Fantastic. Your words are so true and profound. Thank you dear friend for sharing your amazing story. I cannot imagine judging those who struggle with poverty... I also had humble beginnings and some things you never forget. Bless you for this post. Beautifully written. I grew up in a poor household, although I didn't know it at the time and never thought we were. My husband and I are living on only my salary while we wait (4 years+) for Social Security to decide whether he is disabled (yes, he really is). I'm old enough to retire; he is not. Even under these circumstances we are "rich" in many ways. Being able to give to someone else makes us rich, whether it is clothing, food from our garden, car parts, or love. Your post is fabulous. Thank you!! Like Kirby, I taught in a Title 1 school for 24 years and I understand poverty. 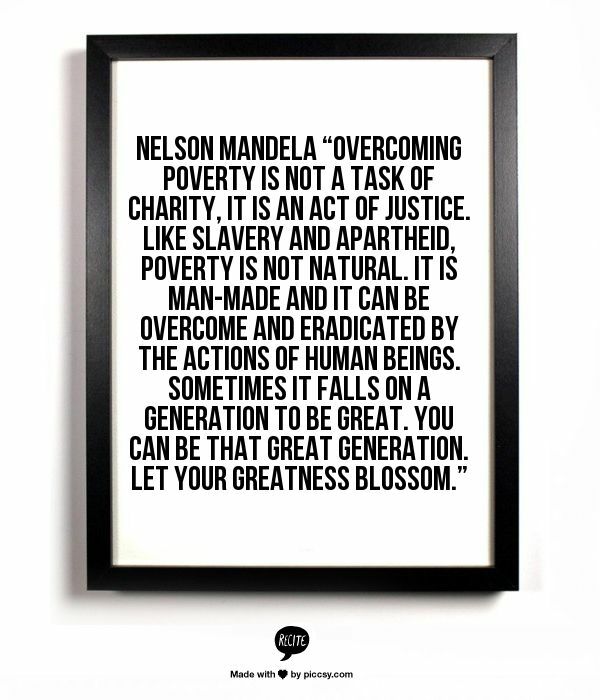 My students were stuck in generational poverty and that is so difficult to overcome. In the book Understanding Poverty, the author talks about knowing how to live in your situation. I could not do most of the things on the poverty list. I could do everything on the middle class list and I even knew how to do a few things on the upper class list. It made me understand why the parents of my students reacted/acted the way they did. For many, I likened it to playing a game that you don't understand the rules and thus you will never be successful. Being retired and no longer coaching, I forget about the poverty situation. But, recently, it has come back to me. With my wrist surgery, I can't dry or straighten my hair. One of my former students who grew up in poverty is now in beauty school. I have been going once a week to have Chloe wash and blow dry my hair ($5). We talk the whole time and she has no money because at 17 she is on her own and paying for an expensive program. Her 18th birthday is coming up and I asked what she would be doing. She said she has no money to do anything, but she would like to go with her boyfriend to the amusement park, Magic Mountain. I gave her a $10 tip yesterday and told her that it couldn't be for lunch. She was to start saving for that birthday at Magic Mountain. You would have thought I had given her the world. She actually cried. I'll be in next week and a couple more weeks until I can lift my hair dryer and I hope I can keep giving Chloe a little bit so she can do something special. Beautifully said, my friend. Thank you for sharing your challenges and reminding us of the need or compassion. So many are so quick to judge. Amen to what you so beautifully expressed. I once read that while we are out and about and see things that get our attention for whatever reason we should mutter the pray, "Bless them and change me." And maybe we should add, "and then do."